My name is E.A. I live in California. I’m 77 years old…After 45 years in the health care industry I have come to the conclusion that not only are the average American medical services substandard in quality and effectiveness but with overutilization of the current reimbursement system it tends to be from the patients perspective the best medicine in the world until they are exposed to the best medicine in the world. I was developing, with USC School of Medicine, a neurological hospital in Beijing, when by chance I was introduced to what I considered the medical miracles of Korea…not because American physicians and medical schools can not do as well in providing high quality medical services, but because our systems are based upon the German medical training where the interns and residents are actively involved in the medical procedures in the surgery suites and the diagnostic area. In Korea they are criticized for not allowing the residents to do the major part of very complicated surgeries such as gamma knife, liver transplants, or even something as simple as kidney transplants. After discovering this new world of medicine I decided to use my own body to investigate the potential for de-aging. After completing an extensive CT, MRI and PET physical at Seoul National University Hospital and having a complete evaluation from top to bottom I discovered the research they were doing with stem cells. In looking at my own health challenges I decided to do a 365 day blog reporting each day how effective the research in adult stem cells has grown to the point at which it is truly possible to effect real change and help in a very short period of time. Ten months ago we produced a reality TV show demonstrating how a man aged 77 could be 67. The name of the show is “10 Years Younger” (Please check out web site for a link to the TV show). The procedures involved plastic surgery and dental implants. I have discovered that with adult stem cells, through technology developed by the scientists who cloned the first dog and won the Korean Science Award in 2008, that I do not have to settle for my various diseases and health conditions. The changes that were brought about for the TV show, were external, making me look 10 years younger, but with stem cells, the changes are internal, including a cardiovascular make over, etc., which has the potential of making me effectivley 20 years younger. My goal is to get back to where I was a year ago or more. In May 2009 I had 5 cc’s of fat removed from tummy fat which was sent to Maryland where the stem cells were separated from the fat cells. The stem cells were sent to the stem cell bank where they were frozen to -196 Celsius degrees. One month ago they grew my stem cells to over 400 million and implanted 100 million directly into my face and 200 million in my arm intravenously on August 24th….follow my progress toward my goal of having a body that is effectively 20 years younger than my 77 years of living. August 24th-Stem cells implanted with a minimum of discomfort no different than the many times I’ve donated blood to the blood bank. The stem cells implanted in my face were very similar to a very sharp pinch. Not painful, but with a minimal level of discomfort…tolerable. August 26th-Flew back to Los Angeles on business class and was able to sleep better than I had in many months with the roar of the engines and people moving all around. Arrived US at LAX still not feeling any relief for the fibromyalgia or from my hypertension reading. I had difficulty removing my bags from the overhead bin on the airplane. I had low muscle strength. August 27th-Still no relief, substantial jet lag, and a great deal of trouble sleeping but not as tired as I’d been before when returning from Asia. August 28th-No improvement but hoping that something would happen soon very similar to John Cullison’s experience after just a few days of his first treatment. August 29th-Sleeping better, not as stressed but no improvement. Taking a lot of medication for my fibromyalgia. August 30th-Feeling better but nothing dramatic that I could measure in reference to my fibromyalgia. August 31st-Feeling better but don’t know if it’s just jet lag going away but pain in my neck, arms, legs and hips still substantial. Taking heavy doses of Tylenol. September 1st-Getting out of bed in the morning I noticed that the pain in my shoulders has disappated during the night. I’m almost pain free. Woke up only four times during the night. Went dancing tonight!!! No discomfort! September 2nd- Neck no longer painful. Shoulders normal. Pillow that I was using in my automobile no longer needed. Hip pain almost all gone. Went dancing again! Did I ever cut the rug!!! September 3rd-Pain in my legs very minimal and almost completely gone were the typical signs of fibromyalgia. The only thing I can hope is that the stem cells are also doing a good job on my prostate and heart. September 4th-Drove to Palm Springs with virtually no discomfort in my neck, arms, legs, and hips. Woke up only one time last night with no real discomfort at all. It seems to be somewhat of a miracle to me. Click [HERE] to see if your condition can be treated with Adult/Repair Stem Cells now. 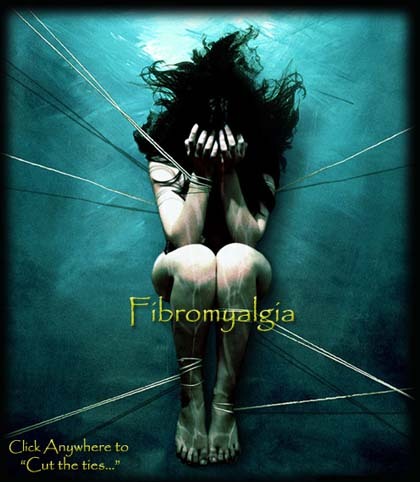 my dear friend has fibromyalga, and is on a myriad of treatments, can stem cell therapy help?